Warning!! 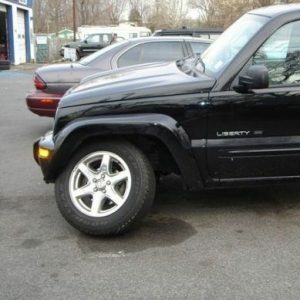 Do you have the factory Chrysler upper control arms on your Jeep Liberty? If your Jeep is lifted and has over size tires, You may be at risk of losing a front tire!! In these failures the ball joint separated from the factory Chrysler upper a-arm. Please check your ball joints!! Or up grade your factory Chrysler a-arms to my JBA Liberty upper control arms for the lifted Liberty!! 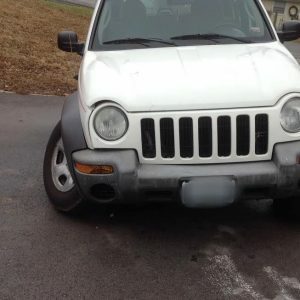 I do not want your Jeep, to be the next one I see with the front tire under the Jeep. For peace of mind, Invest in a set of JBA a-arms!! Replace the factory Chrysler a-arms before it is too late!! If you already Invested in my JBA upper arms you made a wise choice!! Get more information on JBA UCAs click this link. Is the jba set of two upper control a arms cost $395.95? By the way my 2004 Jeep Liberty 4x4 3.7 l currently have a 2.5 inch lift, daystar. will this a arm works on this lift? do i need new sway bar links too cause they looks a little short. Thanks Roger. Yes, 1 set of 2 arms is $395.95, assembled and ready to bolt in. Yes, our lifted a-arms will work best for you. typically the 2.5" lift does not need extended sway bar links, but each Jeep is a little different. I don't currently have a lift kit installed on my Liberty but I am planning for one. Will the A-arms for the lifted Liberty be okay to put on my factory ride height? 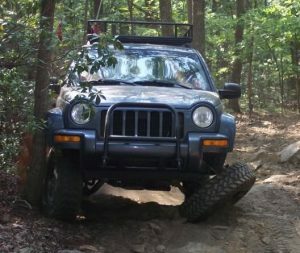 John, The Lifted arms were designed for a lifted Jeep, if your Jeep Liberty will be lifted in a month or so and you are planing on new tires then the answer is yes, PLEASE NOTE: your front end alignment will have to much camber with the lifted arms on a stock vehicle and will chew up tires. The sooner you install the lift kit the better. Working under my KJ crd this weekend I noticed the upper ball joint rubbers torn and the ball joints started to go. 1. Do you ship to South Africa and what is you success rate at that? You can use the lifted if you plan on going up higher. The arms were designed for 1" to 4" of lift. In addition to the Control Arms for a lifted 2003 Jeep Liberty Limited with the upper ball joints that you sell, do you also sell heavy duty serviceable (with grease fitting) lower ball joints ?